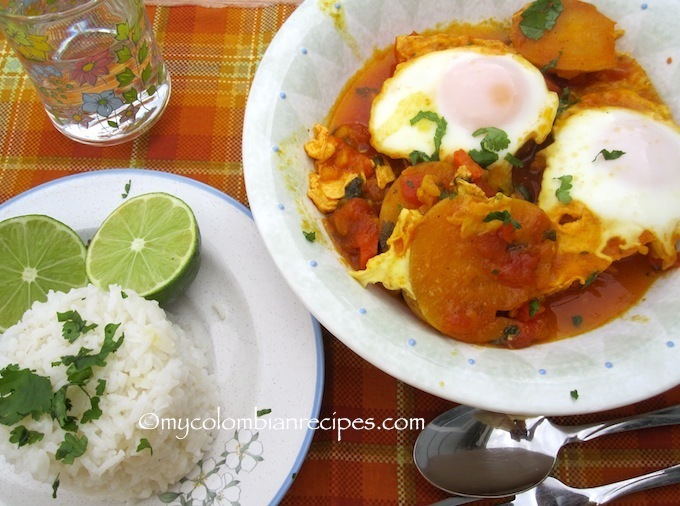 Sudado, or Sudao, is a traditional and popular Colombian dish made with poultry, seafood or meat, and cooked in a rich sauce made with onions, scallions, garlic, tomato, red bell pepper, achiote and other spices. 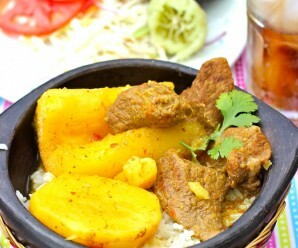 The dish also contains potatoes, and possibly yuca and carrots, depending on the taste and style of the person cooking it. 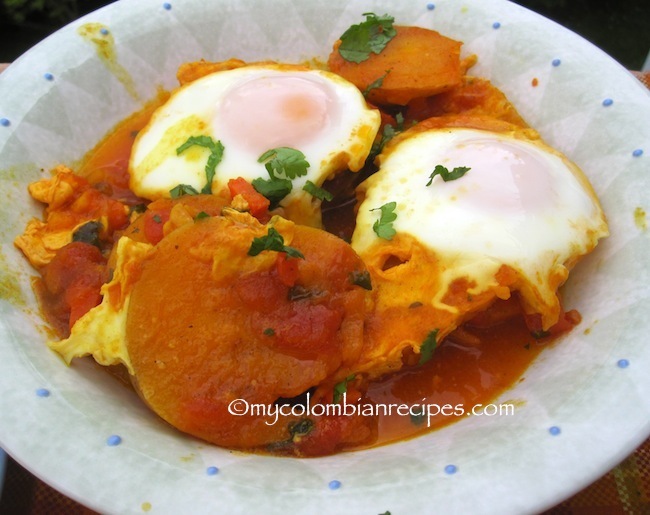 This Sudado de Huevo is popular in the Quindio department of Colombia and it is usually eaten for breakfast. 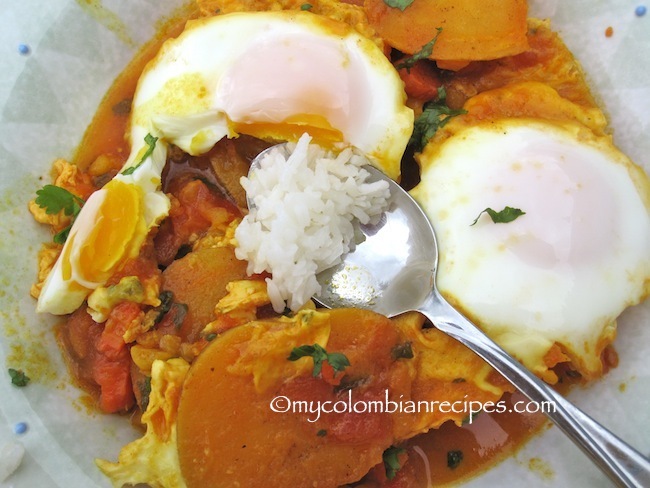 It is a comforting meatless Colombian dish that is easy to make, tasty, and inexpensive! In a large sauce pan, heat the vegetable oil over medium heat. Add the onion, scallions and red pepper and sauté until onions are translucent, about 3 minutes. Then add the tomatoes, garlic, salt and ground pepper and sauté for 5 more minutes. Add the stock, potatoes, carrots, sazon Goya and cumin powder. Cover and cook for 25 minutes, stirring occasionally. Season to taste with salt and pepper. Crack eggs, one at a time, and place over sauce, spacing evenly apart and cook for an additional 5 to 8 minutes or until the potatoes are tender. arnish with cilantro. 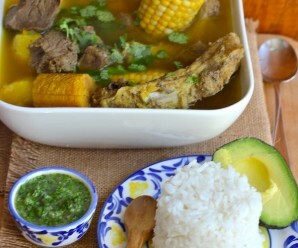 Serve with white rice on the side. 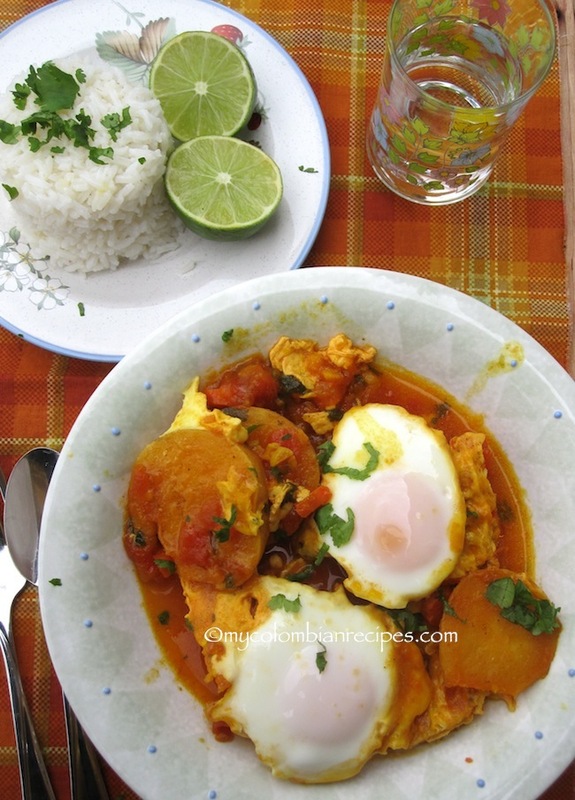 I have never seen a egg stew before, it looks amazing, and very satisfying! Would love to try it. Yuum! Looks so good! I am so impressed at how you perfectly cooked the eggs! Oh wow! Those eggs are beautifully done!! They almost look unreal! I just had something like this the other day at a friends, but yours looks much better…. 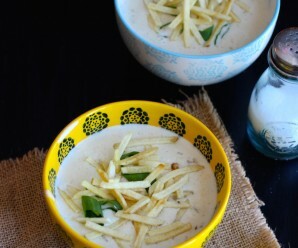 In Kerala cuisine, egg curries with coconut milk base or tomato base are popular. So it was nice to go through your recipe and see a different version. I hope to see more egg curry dishes from you. 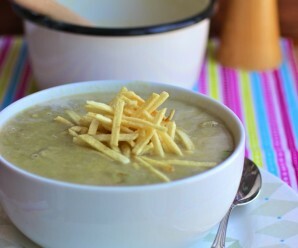 I made this sudado today for lunch and it was very easy to make, filling and very good. I served mine with white rice and a salad on the side. Thank you all for leaving a comment!